Serving porcelain, DriadeKosmo, THE WHITE SNOW, Antonia Astori,1999. Round and Oval serving plate. For a totally Driade look. round serving plate diam. 40 H. 3,2.
round serving plate diam. 36 H. 2,9.
round serving plate diam. 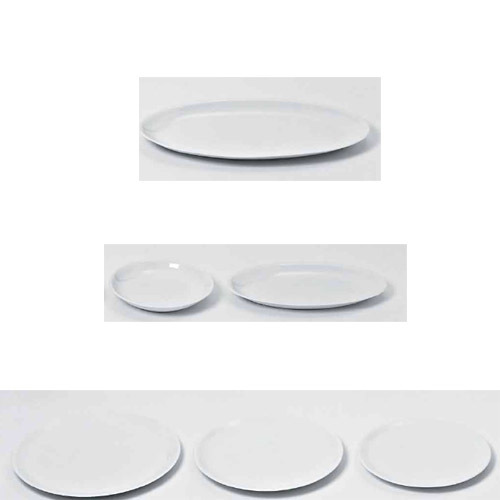 32 H. 2,4.
oval serving plate W. 56 D. 28 H. 3,5.
oval serving plate W. 43 D. 25 H. 3,8.